Subic Bay is a diver’s paradise, especially for those who like to explore wreck sites. When you check out the wrecks, it’s like you’ve traveled back in time. Evidently, US Navy divers knew this, since they limited the diving in the area for just military personnel. It was only when the Americans left the base did diving in Subic become open to the public. USS New York. This is arguably the most famous wreck for diving in Subic. Built in 1891, the ship was scuttled in 1941 in order to prevent the Japanese from getting their hands on it. The USS New York rests at a depth of 30 meters. Aside from the damage due to salvage operations, it sits on its port side largely intact. Most importantly for divers, the huge propeller and the enormous turreted deck guns are in great condition. Swim along its 110-meter length, and it’s an experience you won’t forget. This dive is suitable for experienced divers, especially for those who have an appreciation for history and delight in exploring engine compartments. San Quentin. This is the “Sunken Tin” that was scuttled back during the war between Spain and the US. This dive site is well-known among those who like to take pictures and videos underwater because of the clear water here. Since it’s been underwater for more than a century, it’s now an artificial reef with lots of corals, fish and invertebrate creatures. Nudibranch are plentiful here too. There’s even a nice coral reef nearby. One of the best features of this dive site is that it’s a very easy 16 m dive, and all this splendor can be seen by novice divers. SS Oryoku Maru. This is known as the Hellship, and if you know its history during the Second World War it can be a rather sobering dive. It was used as a transport ship for allied prisoners of war by the Japanese. More than 300 prisoners died when it was bombed during a raid. The survivors endured horrific treatment from the Japanese afterwards. 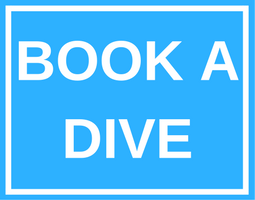 This is not an easy dive, so it should be reserved only for experienced divers. 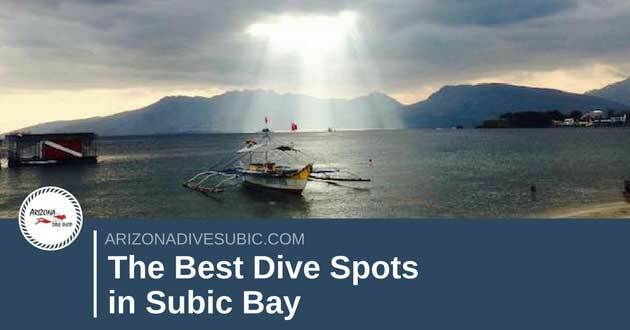 This diving site has the worst visibility among all the dive sites in Subic. It lies 27 meters down, about 500 meters away the shore near Alava Pier. USS Majaba. People just call it the El Capitan, and it’s also one of the more popular dive sites in Subic. Its maximum depth is only at 20 meters, and the starboard side lies just 4 meters beneath the surface. This is also the perfect dive for novice divers. The shallow dive is easy enough, the visibility is good and there’s no current to worry you. You can dive along the 80-meter length of the ship, or enter inside the holds and the boiler room. These are just a few of the 19 wrecks you can explore in Subic Bay.